SalesFix listened very carefully to what our objectives were and what we wanted to be able to achieve with Salesforce. Without their support, we would not have been able, or had the confidence, to take the bigger steps. SalesFix and Salesforce.com are a huge part of our success story. Engages and refers volunteers, including emergency volunteering. Builds community resilience and volunteer capacity,specifically through projects like its Step Up Program. Delivers professional development and nationally recognised training and assessment and is a Registered Training Organisation (RTO). Advocates for the Queensland volunteer sector, providing policy advice and support. Volunteering QLD needed a CRM that could collect, link and maintain its volunteers’ records. SalesFix customised Salesforce to integrate the right data to support Volunteering QLD’s key business practices. With the help of SalesFix, Volunteering QLD has a future-proof CRM system and a corporate culture of continuous improvement. Prior to SalesFix and Salesforce®, the systems were manual, resource- intensive and not suited to the changing nature of disasters. 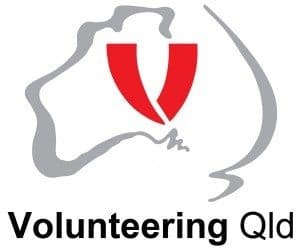 Volunteering QLD now has streamlined, accurate records that can be easily accessed anywhere, anytime and on any device. configuring Salesforce and related systems. SalesFix also aligned the system’s information flows to Volunteering QLD’s key business processes. Rather than changing the business to suit the system, SalesFix ensured that Salesforce® was responsive to the unique needs of Volunteering QLD. “Salesfix really listened! They provided us with a customised CRM to further help our volunteering communities,” said Molloy. SalesFix enabled Volunteering QLD to move forward in the collection and use of information; information that can be accessed anywhere and anytime, including on mobile devices, via cloud-based applications. The results of working with SalesFix were immediate. Volunteering QLD can now produce linked and accurate data records. They have an intuitive, tailored CRM system which is responsive to their ongoing data needs and business practices. Additionally, the long term benefits of SalesFix’ advice has continued to be realised by Volunteering QLD. Easily and efficiently produce comprehensive, real time statistical reports for client organisations.